Eataly is a global mecca for Italian culinary cuisine & recently they opened a flagship store in Los Angeles. 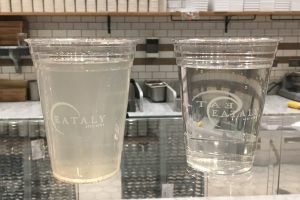 But what makes Eataly L.A stand out from the other Eataly sites around the world (Milan, Dubai, Chicago, etc.) is that they’ve installed an Aqualoop greywater recycling system from Ecovie, recycling water on-site for re-use to flush toilets and water irrigation. 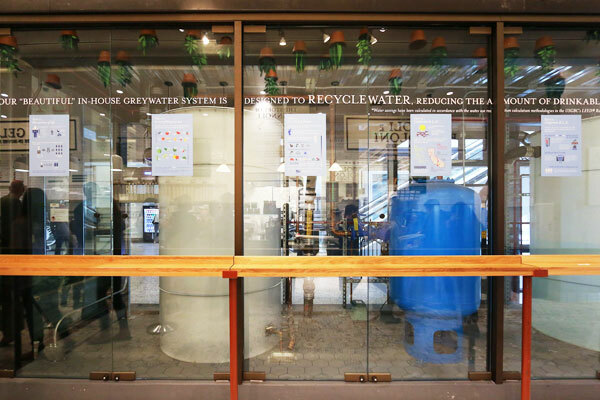 The Aqualoop system is prominently displayed behind glass in front of the cannoli and gelato bar as a bold statement and feature of their shopping experience for all their customers to see. Aqualoop is the first grey water recycling system of its kind to be permitted in L.A and is the perfect solution for managing onsite water use. First Water Recycling System of its Kind in L.A. Receiving an NSF 350 (C) certification, this groundbreaking installation is the first greywater system permitted in the City of Los Angeles to use treated water for toilet flushing and spray irrigation. After final inspection on February 14th, the system commenced water treatment, cultivating a true taste of Italy by transporting treated water to an imported olive tree on the grounds. 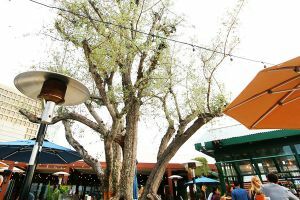 This greywater system treats approximately 400,000 gallons of water per year, meeting 33% of the restaurant’s toilet flushing water demand, a mere fraction of what can be accomplished with larger Aqualoop systems. Ecovie and its Southern California representative, Weil Aquatronics collaborated with Glumac Engineering, Studios Architecture, All Area Plumbing & Water Recycling Systems supporting the installation and commissioning. As greywater systems can reduce off-site water demand from municipal supplies by up to 40%, we look forward to Aqualoop’s inclusion in future projects to facilitate the water independence of properties across Southern California.